KITTERY – A group of anti-gun protesters who had previously threatened a boycott against Kittery Trading Post found themselves outnumbered and out-messaged this morning outside the iconic Maine business. The gun control protesters, spurred by Rep. Lydia Blume, Rep. Patty Hymanson and Rep. Deane Rykerson, only mustered about 25 people to join in the protest of Kittery Trading Post. A group of gun rights supporters who pulled together a counter-rally on short notice had an estimated 50 people on hand to support Kittery Trading Post and defend the Second Amendment rights of Mainers. State Senator and U.S. Senate candidate Eric Brakey was among the Second Amendment supporters. Brakey has been known as one of the most dedicated defenders of gun rights in the state during his time in the Maine Senate. Previously, protesters had threatened a boycott of Kittery Trading Post if the retailer did not stop selling certain firearms. Clearly, the message from Kittery Trading Post today was clear – they will not be bullied. 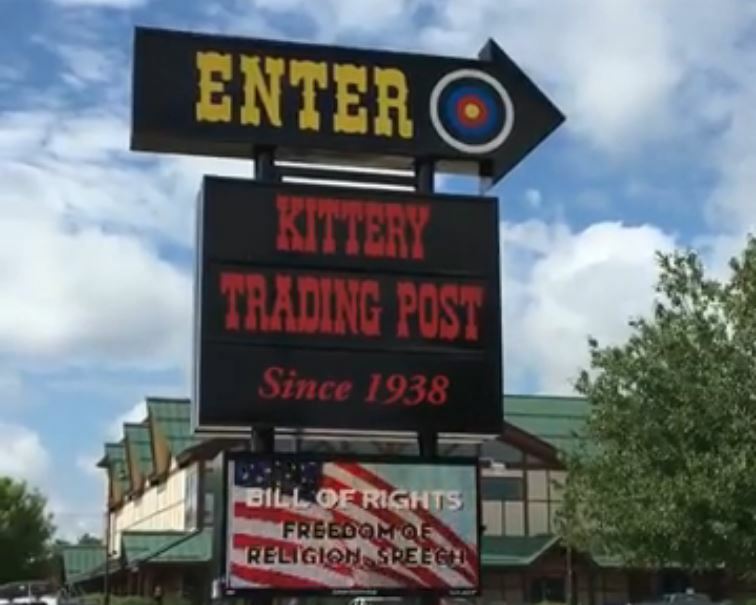 Watch a video of Kittery Trading Post’s full sign message below.